After surveying 1,000 first-time and repeat homebuyers, the results revealed that 17% of homebuyers were surprised that closing costs were required at all. Another 35% were stunned by how much higher the fees were than expected. Bankrate.com recently gathered closing cost data from lenders in every state and Washington, D.C. Here they are able to share the average costs in each state. 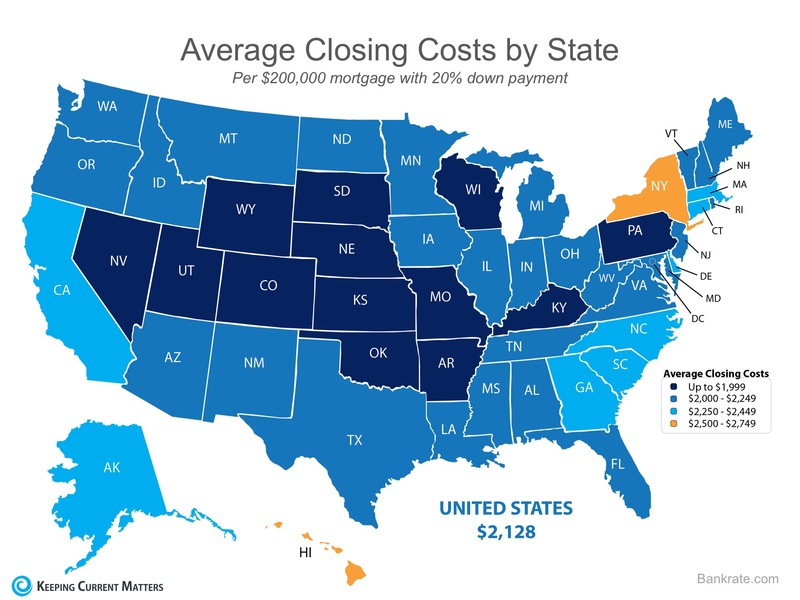 The map below was created using the closing costs on a $200,000 mortgage with a 20% down payment. Are you surprised by your closing costs? Here’s what this means to you. Speak with your mortgage lender and real estate agent early and often to determine how much you’ll be responsible for at closing. Finding out that you’ll need to come up with thousands of dollars right before closing is not a surprise anyone is ever looking forward to.